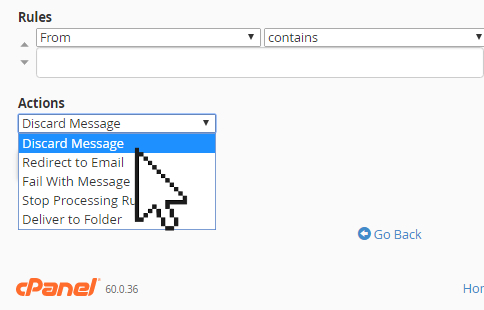 In this article, we will go over the email filter tool on your cPanel dashboard. We will also show you how to configure two of the more common filters and rules for your email address. You can also use this article as a guide on creating global email filters for your domain name. 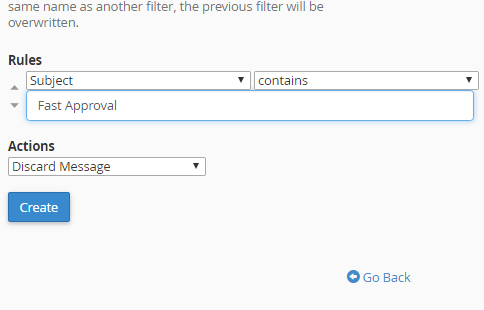 On the Create a New Filter page, you will see that you can add multiple rules and action to a single filter. When creating a new email filter, the first set of options lets you specify which part of the email message your email system examines to determine whether the message matches your filter criteria. Once you have selected the portion of the email message that the system will examine, you can select the type of comparison between that portion of the email and the criteria that you enter. 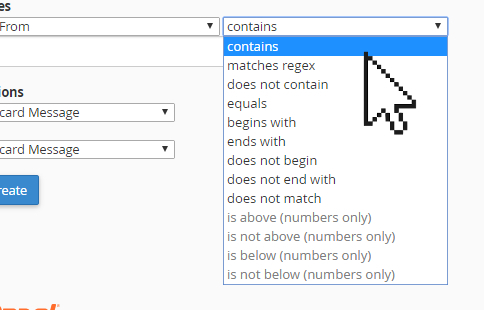 Now that you have defined the filter rule, you can enter the criteria to use in the text box. This completes the filter rule that will be used by the system to compare incoming messages. 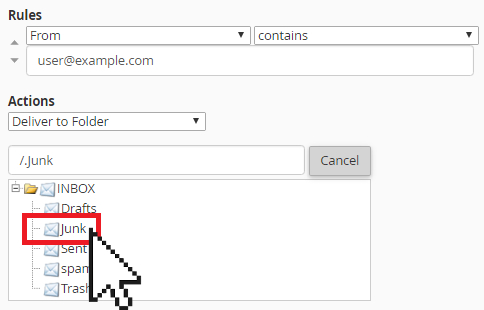 For example, if you have selected the From and Equals filters, enter an email address (ie. user@example.com) as the criteria. The system will then use that filter rule to determine that any email from user@example.com matches the filter. When the system determines that an email message matches your filter, it handles that message with the action that you have specified. 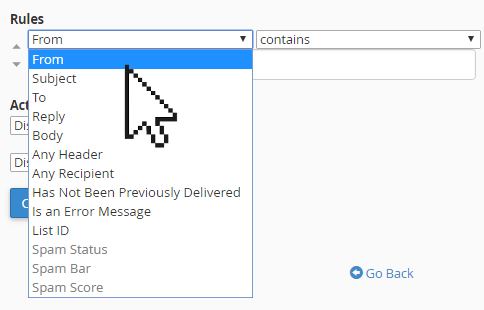 If you want to block all emails with a certain subject, say “Fast Approval”, you would select Subject and contains and then the text “Fast Approval” in the text box. You can select Discard Message or Fail with Message as the action. Sometimes you get emails that you just don’t want to read, but at the same time, you don’t want to discard or block the sender just yet. 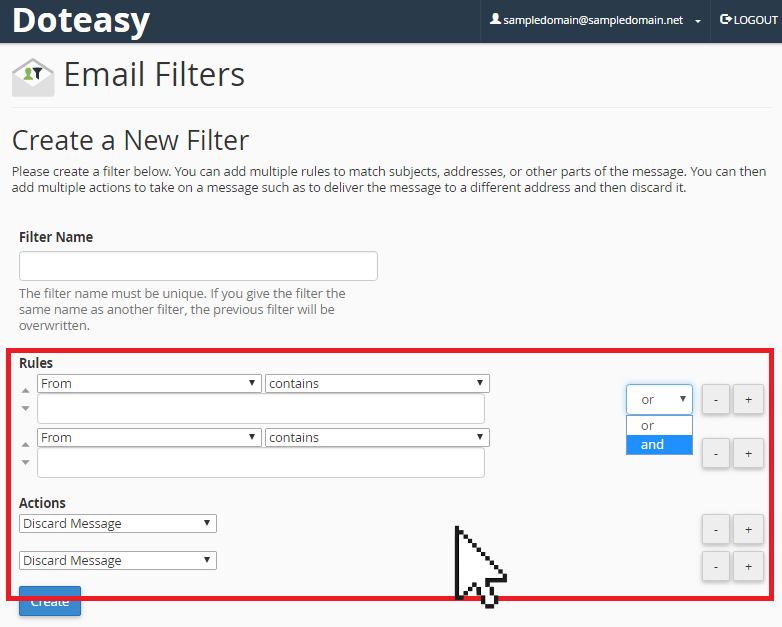 There is an email filter configuration for that – a filter that will file all emails from a specific sender into a separate folder so you can read them at a later time. The first thing you do is to create a folder in your email account to hold these emails. For this example, let’s just throw all these emails into the Junk folder.